The appeals process for 19 protesters charged in 2015 were scheduled to start in December 2018 but has been delayed by the courts. In February 2019, Médecins Sans Frontières (MSF) announced that it will resume treating asylum seekers and refugees in the Australian offshore refugee detention centre on Nauru via video and phone. 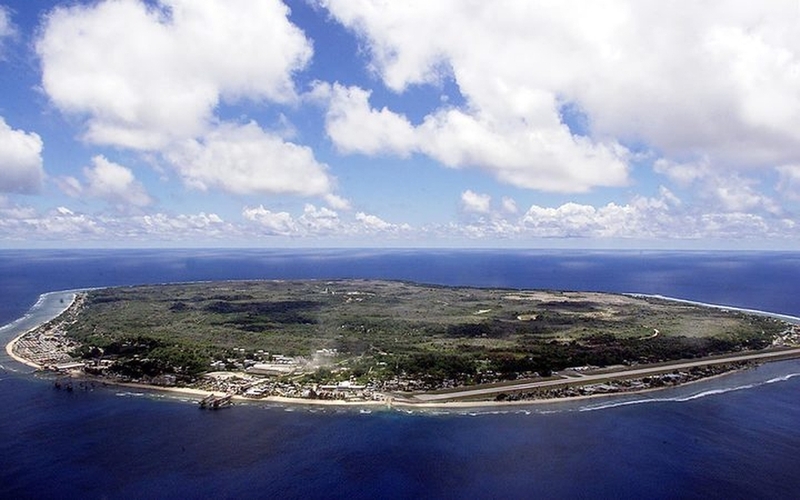 About 300 refugees remain on Nauru. Also in February 2019, the government of Nauru rushed through a new law that restricts residents being granted medical transfers if the referral is based on the recommendation of a doctor who consulted the patient online. This has raised fears that refugees needing urgent medical attention could not be transferred to Australia. Amnesty International said that “this move by the Nauru government is a dangerous and callous act that could have deadly consequences for the women, men and children whom Australia has exiled there”. On 28th February 2019 the last four children detained at the refugee centre left the country to be resettled in the US. On 29th November 2018, it was reported that the Nauru 19 would be back in court in December 2018 for the first sitting of the Nauru Court of Appeal. As previously documented by the CIVICUS Monitor, a group of 19 individuals, including several former parliamentarians and a former Nauruan president were charged after they had organised a protest outside parliament in June 2015 for ‘rioting’. ‘disturbing the legislature’ and ‘entering a restricted area’. They were among hundreds protesting against the suspension of three parliamentarians for granting interviews, critical of the government, to foreign media. The parliamentarians had spoken out about the erosion of the independence of the judiciary in Nauru after the deportation of resident magistrate, Australian lawyer Peter Law, and the barring of Nauruan Chief Justice Geoffrey Eames from re-entering the country in 2014. On 13th September 2018, Supreme Court Justice Geoffrey Muecke granted the 19 a permanent halt on charges after they argued that the trial process had dragged on for too long and that the government had not met a court order to meet some of the costs. However, the government is appealing the decision. The Nauru Court of Appeal was set up after the government secretly ended its use of the Australian High Court as Nauru's appellate court in 2018. The Nauru 19 believe this move was “another attempt to deny them a fair trial”. On 13th December 2019, it was reported that the trial would be put off until 2019, although a date is yet to be set. On 7th February 2019, Médecins Sans Frontières (MSF) announced that it will resume treating asylum seekers and refugees on Nauru via video and phone, four months after its doctors were forcibly ejected from the country. As previously documented, in October 2018, Nauru’s government ordered MSF to stop work there immediately and leave the island, despite a physical and mental health crisis in the country. The medical NGO has been providing psychological and psychiatric services to residents, asylum seekers and refugees on the island since late 2017. The Nauruan government accused MSF of “conspiring against it and entering the country under the guise of healthcare in order to engage in political activism”. The mental health service known as tele-health will be available to its former patients, including hundreds of refugees and asylum seekers detained on the island by the Australian government, as well as local Nauruans. In December 2018, MSF released a damning report of Nauru likening the mental health situation in the country to that of victims of torture. The organization released a report - "Indefinite Despair" - containing medical data from its 11 months on the island treating asylum seekers and refugees detained there.